I think this week's inspiration image is just so adorable. 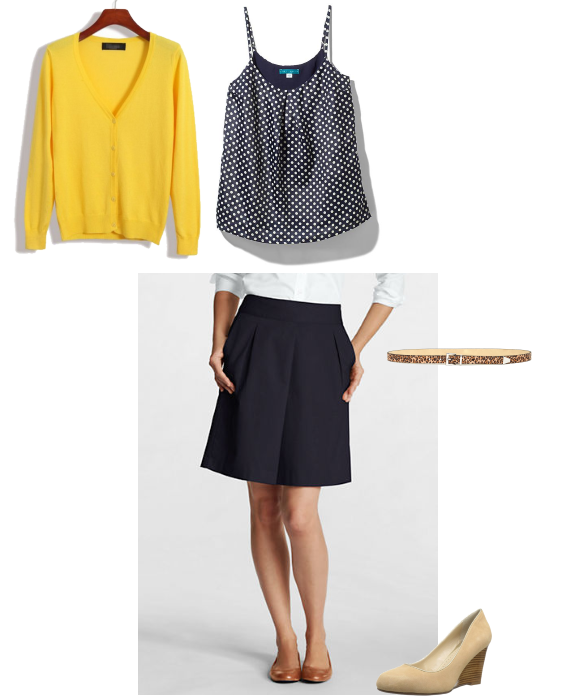 I love the subtle combination of prints (polka dots always read fun to me), and that shade of yellow is my favorite. It's all incredibly down-to-earth and wearable, something that I feel like I could pull out of my closet and put on tomorrow, while still being sophisticated. I love the mixing of those colors! Great combo! How funny, your inspiration pic is/was a kindergarten teacher at my daughter's school. Looks like she's a pretty cool blogger chick. She always did dress super awesome.